The Irish economy registered a strong performance, increasing 5.2% in 2014 and 6.8% in 2015. 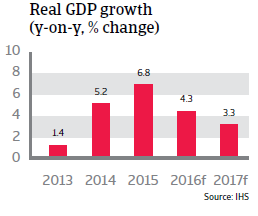 In 2016, growth is expected to slow down but remain robust. 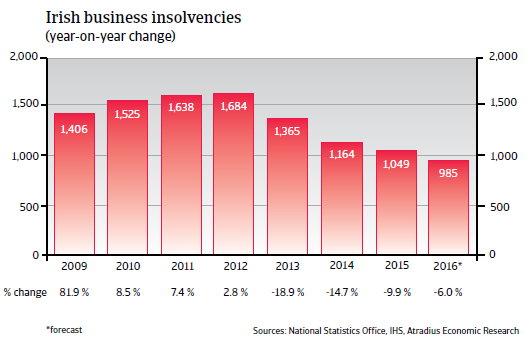 After six years of increases, Irish business insolvencies finally started to decline in 2013. This trend is expected to continue in 2016 as economic growth is forecast to remain robust. The Irish economy grew 5.2% in 2014 and 6.8% in 2015 – a particularly strong performance compared to the rest of the eurozone. 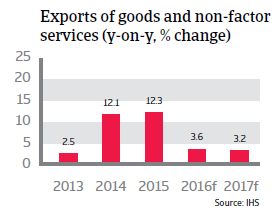 The rebound was mainly due to a sharp increase in exports of goods and services, triggered by a reduction in wages, but also because of a drop in domestic demand for imports. Investments also recorded a major surge. In 2016 the economic rebound is expected to continue, although at a slower pace (up 4.3%). 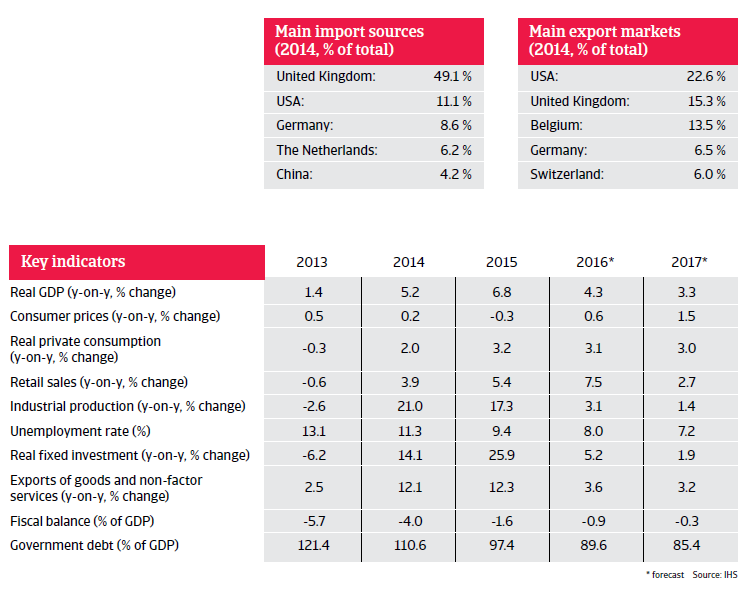 Investments and exports continue to rise, while private consumption is expected to grow again above 3%. Unemployment continues to decrease, to an expected rate of 8% in 2016.
International investors seem to appreciate the efforts of the government to reduce the public deficit and have regained new trust in the (long-term) sustainability of public finances. Around 40% of respondents in Ireland said they will check their customers’ payment records and increase monitoring of their buyers’ credit risk. The Irish food sector has benefited from the weaker euro, the rebound of the Irish economy and growing consumer confidence. 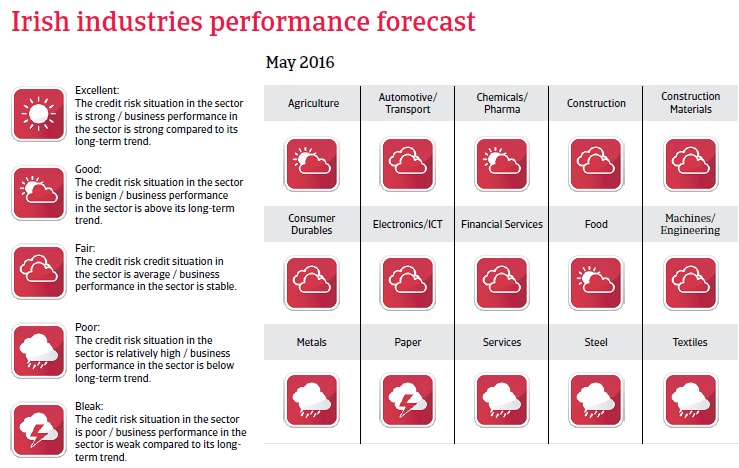 Insolvencies are forecast to fall only 3% across advanced markets in 2016, the worst performance since 2012.